December 2016 looks like a neutral market for Downtown St. Pete real estate. The number of for sale listings was up 7.1% from one year earlier and down 3.7% from the previous month. 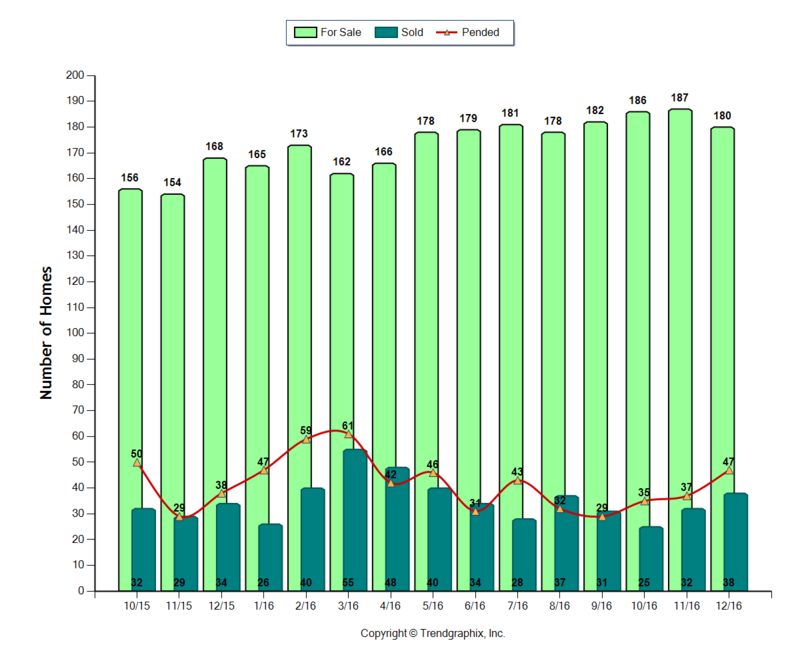 The number of sold listings increased 11.8% year over year and increased 18.8% month over month. The number of under contract listings was up 27% compared to the previous month and up 23.7% compared to the previous year. The Months of Inventory based on Closed Sales is 4.7, down 4% from the previous year. The Average Sold Price per Square Footage was up 13.8% compared to the previous month and up 4.3% compared to last year. The Median Sold Price decreased by 1.8% from last month. The Average Sold Price also increased by 8.9% from last month. Based on the 6 month trend, the Average Sold Price trend is "Neutral" and the Median Sold Price trend is "Neutral". The Average Days on Market showed a neutral trend, an increase of 97.1% compared to the previous year. The ratio of Sold Price vs. Original List Price is 96%, an increase of 2.1% compared to the previous year. December property sales were 38, up 11.8% from 34 in December of 2015 and 18.8% higher than the 32 sales last month. Versus last year, the total number of properties available this month is higher by 12 units of 7.1%. This year's bigger inventory means that buyers who waited to buy may have bigger selection to choose from. The number of current inventory is down 3.7% compared to the previous month. There was an increase of 27% in the pended properties in December, with 47 properties versus 37 last month. This month's pended property sales were 23.7% higher than at this time last year. Contact us if we can help you buy or sell a downtown St. Pete home or condo. © Copyright 2019 Dwell Real Estate. All Rights Reserved.